A punter wagered £150,000 on the Democratic nominee Hillary Clinton to win this year’s presidential election in the United States. After the Federal Bureau of Investigation had concluded their investigation on the former Secretary of State two days ago, the election became a record-breaking event for the bookmakers. 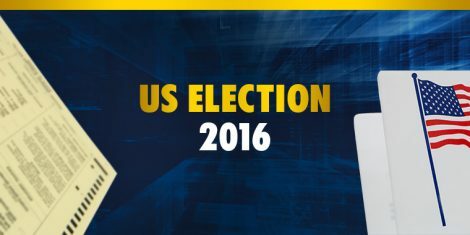 William Hill gave Hillary Clinton the odds of 1/5 to win the race for the White House, while Donald Trump’s odds overtook the Democratic nominee at the final week and currently stand at 7/2. William Hill will soon exceed a £4 million turnover, which will happen for the first time in a political event. Moreover, the result is still impossible to guess in advance, so we are anticipating a political bets bonanza in the final hours of the election campaign. William Hill shared that there are already massive wagers placed on the election, for example, a female customer wagered €550,000 on Clinton, which is almost half million pounds and will make a profit of approximately 220 thousand if she manages to win. A client from Durham placed a bet of £183,100 on the same candidate, and a customer from London wagered £50,000. Many customers who are currently situated in Moscow also placed 5 figure bets on Clinton and a punter from Liverpool will collect approximately £50,000 if Hillary wins. With such massive sums being at stake, the results of the race will surely be a momentous event for bookmakers and gamblers throughout the world. The election is held today. However, the UK citizens will not know who will be moving to the White House until early Wednesday morning.